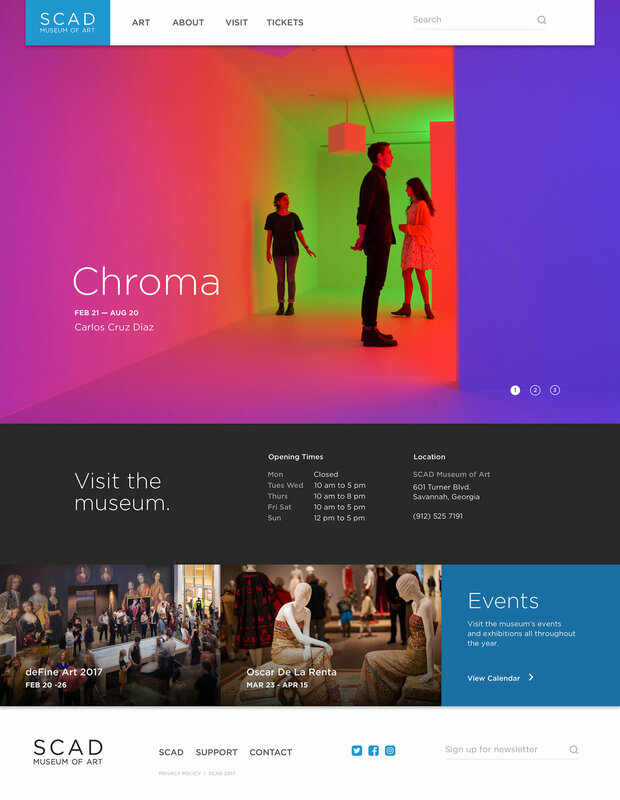 A complete redesign of SCAD Museum of Art's website with an extensive style guide. Faten AlMukhtar, Derien Brown and I wanted our interface design to foremost highlight the artwork and exhibitions of the museum, through bold and vibrant photography. To contrast, we kept the copy and UI elements minimal and simple.